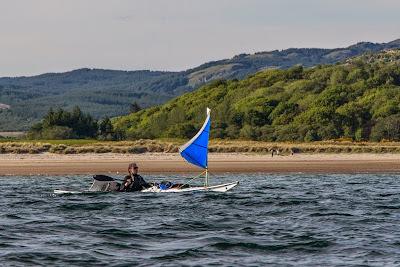 We had been travelling for 40km since we had left Gigha earlier in the day and there were still several kilometers to go. I had torn muscles in my left shoulder (which would require surgical repair) and it was hurting like hell. 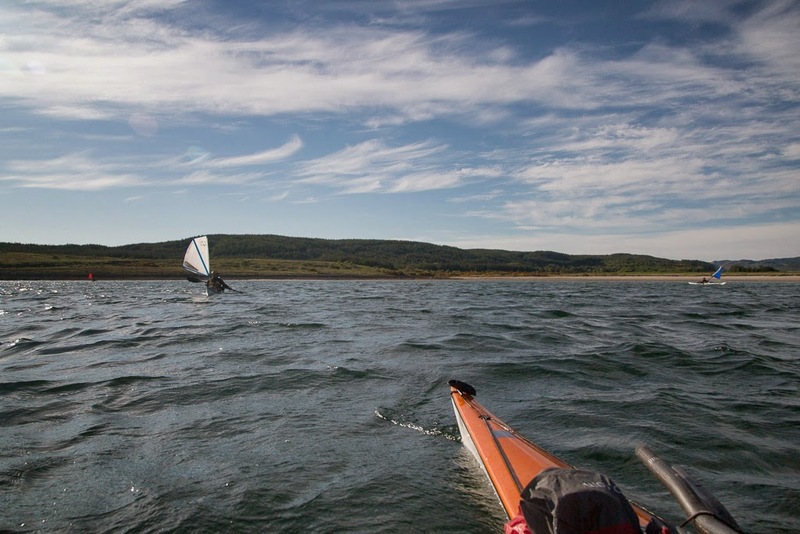 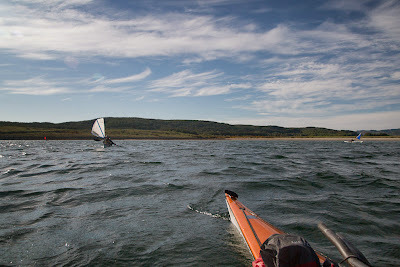 It was a great relief when a northerly sundowner wind got up and blew us straight out of Kilbride Bay. 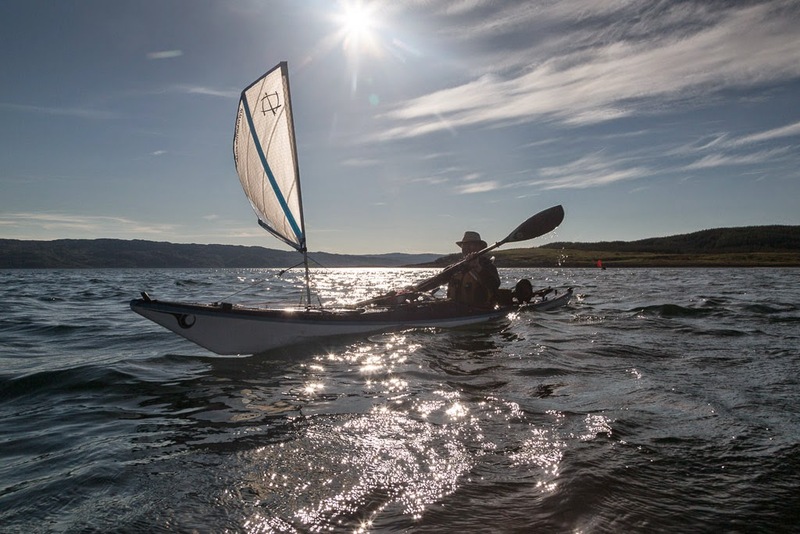 It is amazing how the Flat Earth sail can take the load of a heavily laden kayak off tired shoulders. 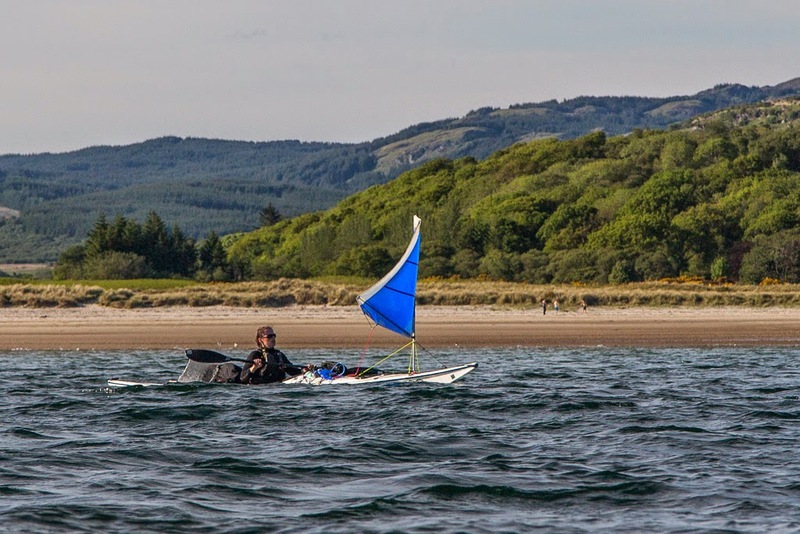 ...we made the most of the broad reach down the Ardlamont peninsula to our intended camp.